The protesting journalists also sought immediate action against those facing allegations of sexual misconduct. Justice Patel said, we need to have a discussion on how we are going to get rid of this completely damaged, mocked system. 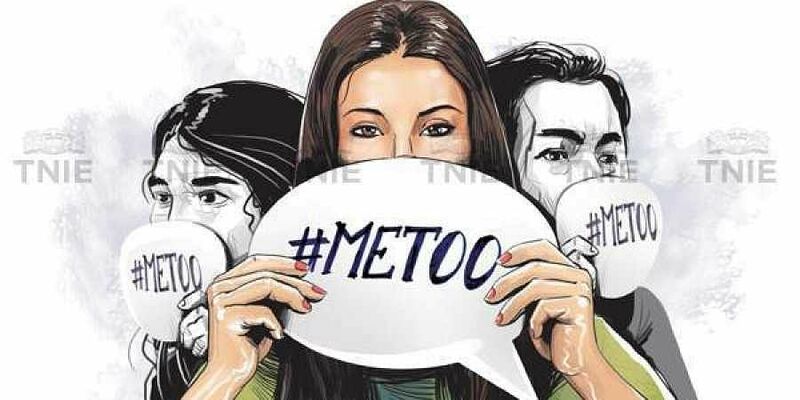 NEW DELHI: As the #MeToo movement intensifies in the country, a group of journalists Saturday held a protest here expressing solidarity with their women colleagues who have come out and demanded proper implementation of the prevention of sexual harassment act to ensure dignity at the workplace. They also demanded the removal of Union Minister M J Akbar, who has been accused of sexual harassment by a number of women journalists, when he was an editor of several publications, a few years ago. The scribes also held placards bearing messages that sexual harassment at the workplace was not acceptable and said: "accountability begins from the top" with protesting journalists raising slogans seeking removal of Akbar. The group of journalists also passed a joint resolution seeking justice for the victims. "Sexual harassment at the workplace is non-negotiable. We salute those women who have come out and shared their trauma. It is not easy to speak out and takes a lot of courage to speak up about such incidents," senior journalist and IWPC president T K Rajalakshmi said. Besides members of the Indian Women's Press Corps (IWPC), journalists from some print and electronic media assembled in front of the Free School Church on Parliament Street and raised slogans, demanding proper implementation of the Sexual Harassment of Women at Workplace (Prevention, Prohibition and Redressal) Act. "We, the assembled journalists today express our complete solidarity with all those who have come out and spoken courageously against the harassment they have faced by colleagues and superiors," the resolution said. The IWPC president said such incidents need to be checked also through proper monitoring of the internal complaints committee (ICC). "Such cases also show that ICCs are either not there or not effective in media organisations," she said. Union Minister Maneka Gandhi and Congress chief Rahul Gandhi Friday had strongly backed women who narrated their experiences of sexual misconduct and more as the #MeToo floodgates opened wider with high-profile directors Sajid Khan, Subhash Ghai and Luv Ranjan the latest to be 'outed'.